Coffee, wine, tobacco and other substances can tarnish your teeth and make you feel self-conscious about your smile. If you’d like to erase years of stains and get a gleaming white smile, consider our professional teeth whitening treatment with pola. We chose to feature the pola Advanced Teeth Whitening System at Hoppers Crossing Dental as it gets brilliant results and has low sensitivity, unlike other popular whitening treatments. Your dentist will pinpoint your tooth colour utilising the pola shade guide. According to the pola website, this guide will be used to estimate how many shades whiter you desire your teeth to be. There’s a dizzying variety of teeth whitening products on the market today. These include gels, strips and toothpaste. While they may lighten your teeth to a degree, we believe that professional teeth whitening is preferable. That’s because your dentist will first examine your mouth to ensure it’s healthy before whitening takes place. 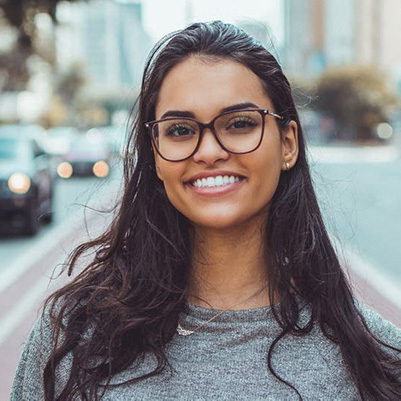 Your dentist also is highly knowledgeable about the different types of whitening products on the market and the results you may get with each type. Imagine being able to get a brilliant, photo-ready smile in about an hour! With pola teeth whitening, you can easily enhance your smile before or after your workday or during your lunch hour. Whitening your teeth in the office is much quicker than whitening at home, which can take up to two weeks to achieve your desired results. If you’d like to get a sensational smile that radiates confidence, contact us today to book an appointment! Currently, we are offering professional teeth whitening with pola for only $395 (typically $550)! We’re open until 7 pm Wednesdays and Thursdays, making it convenient to make over your smile.